Yet another church has come to its senses vis-à-vis refusing to make anti-Israel boycotts official policy for their religious institution. The United Church of Canada has been roiled by debate on the Middle East for over 30 years. Like the Presbyterian and Methodist Churches in the United States, a small but vocal minority within the Canadian Church has been pushing harsh anti-Israel motions (including calls for boycott and divestment) for decades, with little to show for itself, beyond a souring of Christian-Jewish relations in Canada and deep bitterness within the church itself. This year church members finally said “enough” voting down boycott and divestment motions nearly unanimously. While divestment advocates may search for scraps they can pass off as some kind of victory (given that they have brandished the United Church of Canada for years as their ultimate success story), they’ll have trouble categorizing one more unanimous rejection (just like the Methodists gave them last year) as anything other than what it is: the people in the pews refusing to buy their snake oil. As noted here and here, the only outcome of church divestment projects to date has been misery within the churches themselves. Perhaps Canada will serve as one more example of how to begin to get the toxins divestment brings with it out of a civic organization (hopefully for good). 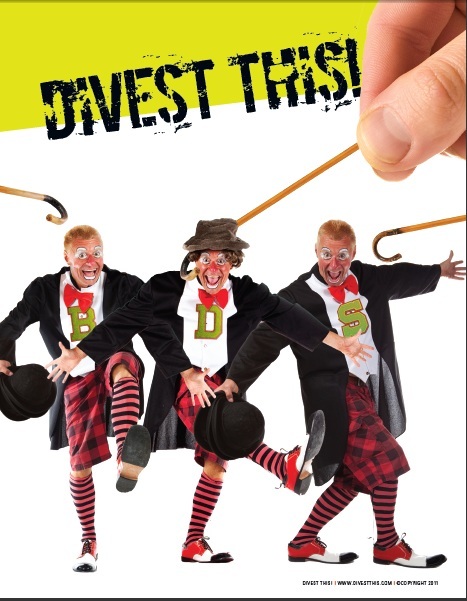 What damage does divestment cause? Yea for our Northern neighbors! There's hope yet. I got a chuckle from this comment from the Sabeel coordinator who was present at the United Church of Canada General Council: “I have had enough of hearing that it is two peoples to blame, and that it is a balanced situation.” Oh, the irony! The only Israeli soldier left in Gaza is named Gilad Shalit, and he's been held there in violation of his human and civil rights for over three years. We'd love to “withdraw” him, if only Hamas would allow it.